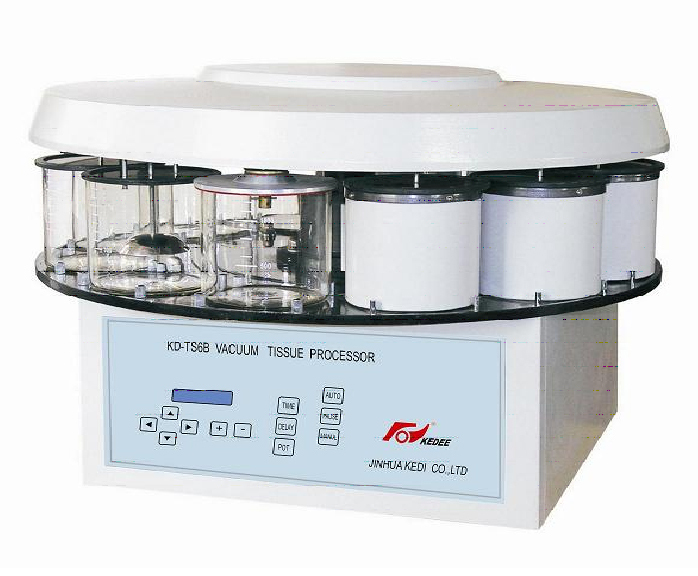 This processor is used to process animal and human tissues automatically. It is accurate and easy to use and maintain. 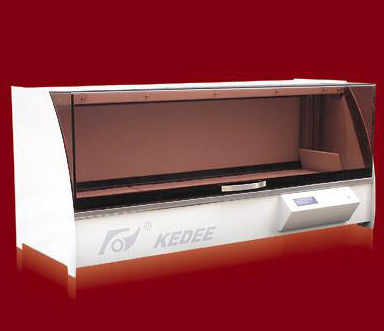 It is an excellent choice for histology and pathology labs of hospitals and research institutions. Steps of processing tissue: 12 steps. Glass containers: 9 with capacity of 1.2L each. Process: Each cup working hours between 0-59hr59min. Delay process: 0-59hrs59min. Vertically reciprocal motion of tissue basket: 3 times/min. Tissue basket specification: Barrel tissue basket-￠95x80mm. Layer nacelle-￠95x80mm, Five layers. External dimension: (diameter) 660 x (high)550 x 680(Tip top) mm. Adopting computer to control whole work process, operate brief work stabilization. Having exchange jar and change place control draw perch, operate agility brief. If lose electric, alarm sounds to protect tissue in liquid. Adopting agitation dehydrate mode enhance reagent and paraffin penetration into tissues. Easy to use with screen display in English. Wide time range: delay time 59hrs59min. The longest working hours for each container is 59hr59min, Time design least interval is 1 min. 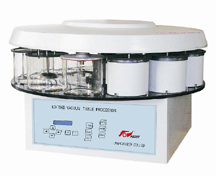 Wax jars adopt constant temperature control system. Temperature precision high: defend pollution, defend canker. Adopting 9 slices 1.2L medicine aquarium, at any moment observe tissue change at work. According to user’s need to tailor standby electrical source, after power cut it can also work in great, working hours can reach 4-16 hours. This processor uses Vacuum function to accelerate the speed of tissue processing for animal and human tissues automatically. It is accurate and easy to use and maintain. 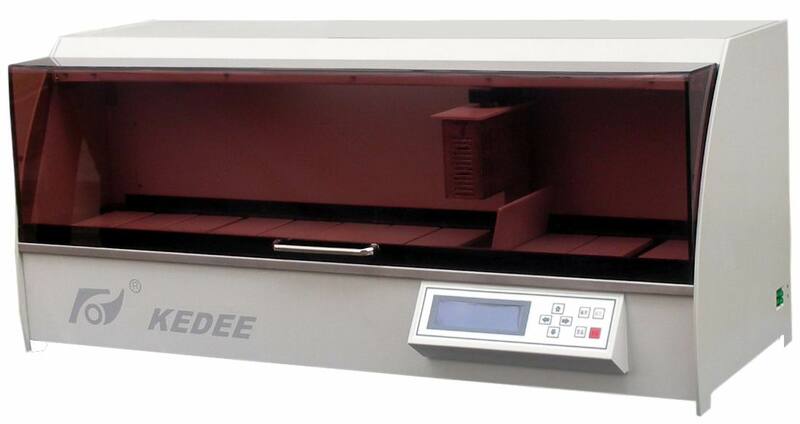 It is an excellent choice for histology and pathology labs of hospitals and research institutions. Wide time range: delay time 59hrs59min. The longest working hours for each container is 59hr59min, Time design least interval is 1 min. Each jar can be set with vacuum separately. It can manually add the tissue during the auto running mode. Customer can check and add the tissue conveniently during operation process . The cover is elegent with fluent line and it is spraying with APS engineering plastic which has high-intensity, anticorrosion function and easy to clean. It is a close tissue processor that is the perfect combination of proven technology and a modern, functionally enhanced design. 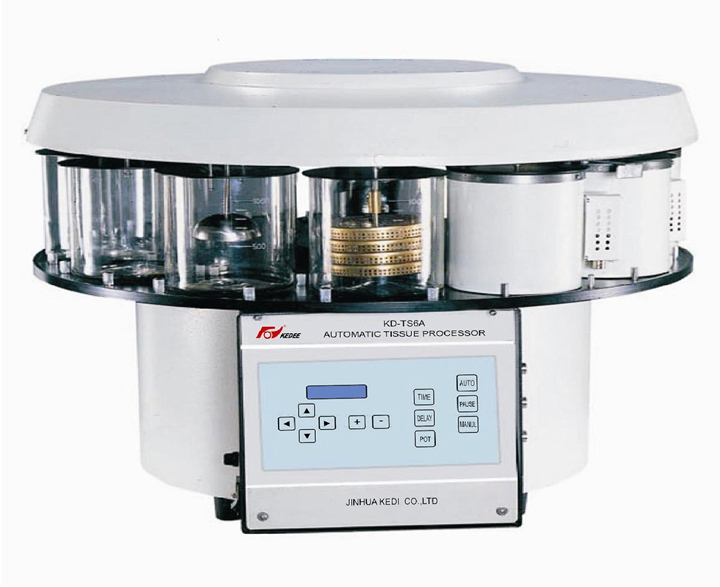 Gentle specimen processing and maximum safety at all stages of processing are the result of robust engineering design based on proven and precise mechanics in conjunction with a friendly user interface. Infiltration time in wax baths: 1 min-24 hours. Programs: Number: 12, freely selectable. Tissue baskets made of metal with varying capacities of up to 80 cassettes. Ergonomic control panel with LCD. Delayed start function up to 99 hours. Infiltration time separately programmable for each station. Possibility of interrupting an automatic process for reloading or removing cassettes for special applications before the end of a run. Easy editing and changing of programs, even during a processing run. Audible alarms, advanced safety concept. Re-circulated atmosphere depurative system that absorbing unhealthy volatilization gas. ■APS engineering plastics,high intensity, anti-corrosion, streamline design, elegant appearance, save reagent, low cost, economical and work well. ■Intelligent design, instant identification in case of problems. Memory fuction in built-in procedure. This KD-SK biological tissue swift processor (ultrasonic handling) is with ultrasonic shaking and precise temperature control functions to make the general tissue handling swifter and perfect. The effect is almost the same to the routine handling of biological tissues. The extensive application of the last-to-30 min transmitted report is for your reference. 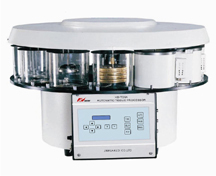 The design of one-way temperature conduction, dual time display and touched key make the operation handy. The microcomputer chip with value memory makes the operation easy and convenient. The adjustable ultrasonic power makes it convenient for tissue treatment of different sizes. The working slot is designed with drainage.